The head of Montreal’s Drug Users & Abusers Anonymous, a charity dedicated to helping addicts recover from substance abuse, has been arrested for allegedly running a country wide drug ring. “The scope of this criminal enterprise is baffling,” says social reformer Mike Beaudoin. 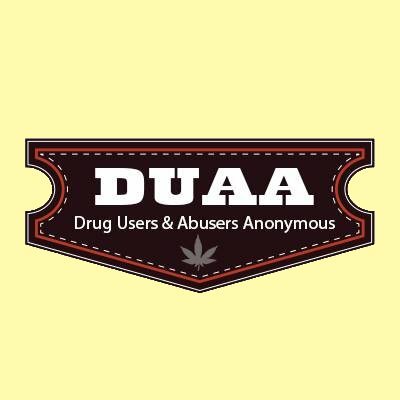 “Every Drug Users & Abusers Anonymous chapter was really just a front for dealing drugs to vulnerable people. Folks who were looking for help in recovering from their addiction would instead find themselves pressured into buying more drugs from the people they had turned to for guidance. This criminal organization would then use its links to legal departments across the country to have the addicts thrown into jail, often on trumped up charges, if they ever dared raise objections about what was going on." Leia Manson is one victim who refuses to be silenced. “I was arrested for possessing crack, and part of my sentence involved attending Drug Users & Abusers Anonymous,” says Leia. “And instead of helping me try to overcome my addiction, they tried selling me more crack. When I refused to buy some, they told the courts I was in violation of my probation and sent me back to jail. They send you to jail if you buy crack, they send you to jail if you don’t buy crack. This country is crazy."